Feverfew is an age old natural remedy, which is used to treat severe migraine headaches. Feverfew carries the flowers resembling daisies, which belong to sunflower family. Tanacetum parthenium is the botanical name of Feverfew and it does not have any side effects that helps you to use it without any worries. It’s popularly known as bachelor’s buttons that give it a better identity in the society. The original habitat of Feverfew is Balkan Mountain in Southeastern Europe but in recent times it’s grown all over Europe. The flowers bloom between July and October. Usually Feverfew supplements use dried leaves but in some cases fresh leaves are also consumed. Some supplements also use flowers and stem and while buying you must go through the detailed ingredients knowing that you have the right product. How Does Feverfew Work for Migraines? 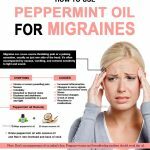 How to Use Feverfew for Migraines? According to research Feverfew decreases the frequency of migraine headache and thus you get relief from the pain and headache symptoms. In addition, it reduces nausea associated with tendency of vomiting that enables you to restore your normal lifestyle. If you are suffering from depression you can use Feverfew as a natural antidepressant helping you to get rid of migraine headache. A Feverfew supplement contains 85% of parthenolide preventing excess clumping of platelets. Thus, it helps in release of some chemicals like serotonin and some inflammatory mediators. When there is a migraine headache your brain starts releasing the neurotransmitter called serotonin due to which the blood vessels start contracting. The blood vessels thus get dilated and taking Feverfew those blood vessels get a good ‘tone’ that controls your migraine headache. Feverfew also controls the release of chemicals like prostaglandins, which are responsible for causing pain and inflammation. As it reduces the secretion of anti inflammatory chemicals it comes up with a history of curing arthritis naturally. The main ingredient of Feverfew is sequiterpene lactones (parthenolides are among them) that work similar to Aspirin helping to control the clot of blood vessels. Apart from these, you can also try drinking tea, a tincture or chewing fresh leaves to treat the condition regaining your self-confidence. However, if you chewing leaves or drinking the tea you may have chances of developing mouth sores. In case, there is any such difficulty you must stop taking it immediately and consult with your doctor knowing the ways to heal the ailment. Since the teas and dried leaves carry a bitter taste irritating your mouth it’s sometimes suggested to use the capsules that give you best results. You can take a dose of 250mg daily that’s good for a healthy adult. It’s easy to buy the capsules from any pharmacy or health store. If you want to get fresh leaves you can grow it at your home and that helps you to pick up some fresh leaves. You can thus chew them daily experiencing good results in real time. Everyday one large leaf or three small leaves can be consumed and you can mix some sugar or honey giving it a better taste eliminating that bitter flavor. Make sure you keep the leaves in a place with good ventilation ensuring that it stays away from sunlight. The leaves must be kept in a single layer and you have to turn them on a regular basis that gives it an even look after dried. You can get a cup of Feverfew tea in the morning that would help you to start your day a fresh. Usually the tea is made with leaves but you can also use flowers preparing a cup of Feverfew tea. If you are a victim of regular migraine you can use Feverfew tea regularly that helps you to get rid of the problem. This herbal remedy works the best for migraine headaches. Let it rest for 30-60 minutes. You may take 1-2 cups of tea daily. Butterbur is another natural herb consisting of petasin and isopetasin that helps reducing pain and thus you can get rid of migraine headache naturally. The leaves are used to treat migraine Headache. Butterbur and Feverfew both show magical results and you can consult with your doctor who can examine your overall health prescribing the right one for a better treatment. Overall, these are two main approaches to treat migraine and you can give life a new start with all good things. However, if you face any side effects like mouth ulcers etc. immediately consult your doctor knowing the exact cause of the problem. Now, use a blender mixing all ingredients and then add honey adding a different flavour to the recipe. If you want you can add some water for best results. You can refrigerate the mixture ensuring that you enjoy the whole drink. 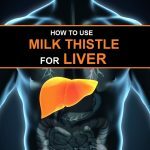 Not suggested for children, and it also causes liver damage in few people and hence best to take under doctor’s guidance. A combination of ginger and Feverfew is safe and is an effective remedy for initial migraine headaches, which are mild in nature. Take 1 tablespoon of Crushed Feverfew leaves mixed with ½ tablespoon of ginger. Take the leaves, ginger and add them to a cup of water. Consume this tea 1-2 times everyday. It helps you to manage migraine without any medical treatment that gives you the poise to handle all activities efficiently. Fevefew-ginger also has proven results of eliminating disable features of migraine due to which you can feel the ultimate relief. Migraine headaches can be of pulsating nature associated with light and sound sensitivity etc that makes the condition worse. Consuming this paste you can get relief that brings in a big smile on your face. Take white willow bark and Feverfew in a base of Kosher vegetable glycerin and water, Make sure the ingredients are organic in nature that won’t cause any ill effects. In this way, Feverfew always aids you to stay away from migraine headache. Worried how to treat migraine headache? Get a good supplement of Feverfew and you can see instant results. This helps you to get that feel good experience ensuring that you lead life with all good things. You can now stay fresh all the time with your brain functioning perfectly that gives you chances to win all challenges. How to Use Salt for Migraine Relief Instantly? 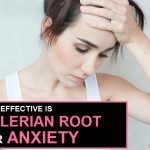 How to Use Valerian Root for Anxiety?